The Silencing of Slaves in Early Jewish and Christian Texts analyzes a large corpus of early Christian texts and Pseudepigraphic materials to understand how the authors of these texts used, abused and silenced enslaved characters to articulate their own social, political, and theological visions. The focus is on excavating the texts "from below" or "against the grain" in order to notice the slaves, and in so doing, to problematize and (re)imagine the narratives. Noticing the slaves as literary iterations means paying attention to broader theological, ideological, and rhetorical aims of the texts within which enslaved bodies are constructed. The analysis demonstrates that by silencing slaves and using a rhetoric of violence, the authors of these texts contributed to the construction of myths in which slaves functioned as a useful trope to support the combined power of religion and empire. Thus was created not only the perfect template for the rise and development of a Christian discourse of slavery, but also a rationale for subsequent violence exercised against slave bodies　within the Christian Empire. The study demonstrates the value of using the tools and applying the insights of subaltern studies to the study of the Pseudepigrapha and in early Christian texts. This volume will be of interest not only to scholars of early Christianity, but also to those working on the history of slavery and subaltern studies in antiquity. 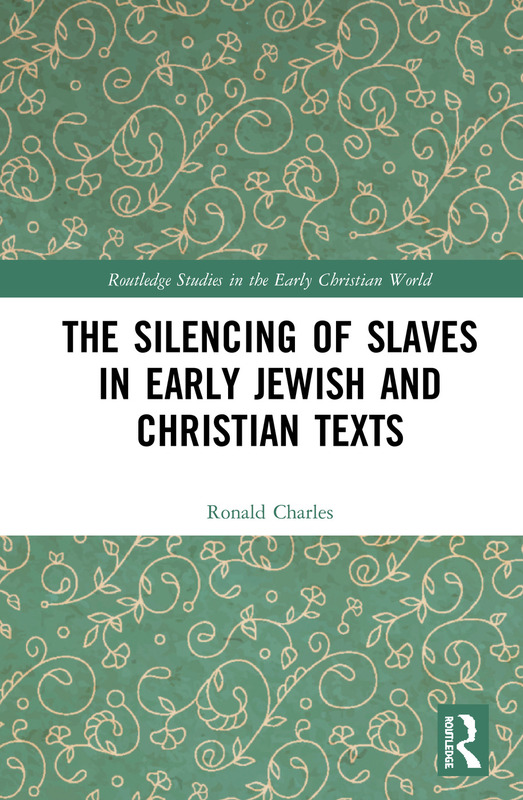 "Ronald Charles is an important voice in the study of early Christian slavery. A postcolonial historian of antiquity, he situates his investigation of slave characters in Jewish and Christian writings in the theoretical context of subaltern studies. Instead of perpetuating grand narratives, he deliberately concentrates on small tales. Attentive to the voices of ancient slaves and the silences of modern historians and theologians, Charles joins the chorus of those who insist we finally hear the voices of those who cry for justice on behalf of those they love." 7.5 Reading the Acts of Andrew "from below"
Ronald Charles is Assistant Professor in the Religious Studies Department at St. Francis Xavier University, Canada.